So be sure to read the "Designer's Notes" page he wrote for Munchkin Oz, where he describes the process of designing and writing that game. And yes, he did get to read all 14 of L. Frank Baum's Oz novels as part of his job. Feel free to be jealous. We updated the Designers Note page recently, because there are two versions of Munchkin Oz now that we've released Munchkin Oz Guest Artist Edition, illustrated by comic artist and writer Katie Cook. Cook's version of Oz is available only at Amazon.com. 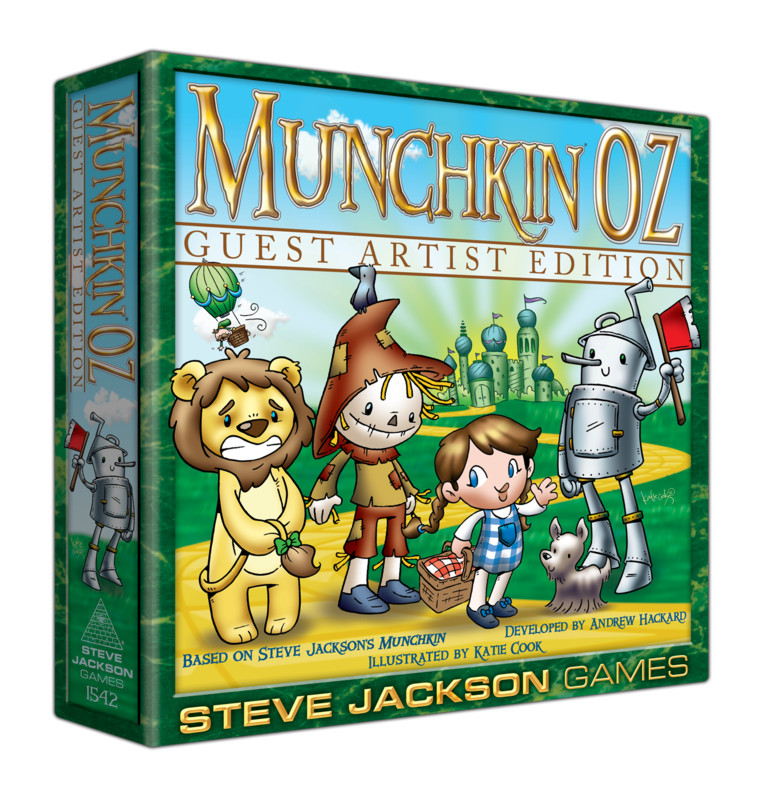 It's a deluxe, limited edition; and in fact, it's the first deluxe version of Munchkin Oz. 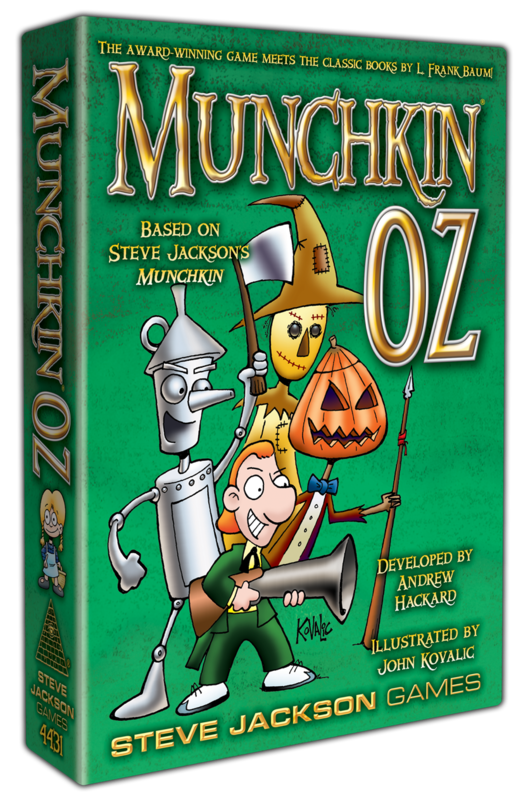 It's worth a look for both the Oz theme and Cook's art, not to mention for the oversized game board and 12 player standies that come standard in our deluxe editions of Munchkin games. If you like reading about how our games are designed, watch the Daily Illuminator in the next few weeks. We'll be linking to it as Czar Hackard writes notes about the creation of a few of our new and upcoming releases. They've all got cool themes, and at least one of them is still a secret right now . . . So get excited!